Dr. (Mrs.) Vasundhara Sreedharan holds a doctorate in History from Ranch University. Her doctoral thesis was on a subject related to the upliftment of women. Therefore, it is not surprising that her mission for Nrityanjali reflects her passion to turn out girls who will be imbibed with skills, personality, values and grace that will make them sterling women. She is a trained Bharata Natyam dancer in the Pandanallur Chokkalingam Pillai style. She received her training in Bharata Natyam from her guru, Smt. Sundari Seshadri for several years. She has performed many dance programmes in the presence of dignitaries like Pandit Jawaharlal Nehru, smt. Indira Gandhi, Shri. Morarjee Desai, Mrs. Sushila Nayyar and others. She has given a number of lecture/demonstration programmers in various educational and cultural institutions in Maharashtra. She has conducted workshops for the propagation of various social messages under the Ministry of Information and Broadcasting in different parts of India. She is a committee member of the Tilak Maharashtra Vidyapeeth, the Fine Arts Departments of SNDT University, Mumbai and Dr. Babasaheb Ambedkar University, Aurangabad. She has conducted a series on Natya Vedanjali, aimed at educating the students and parents about the details and subtle nuances of classical dances. she also imparted advanced training in Bharata Natyam to dance teachers in Ahmedabad. She has conducted a workshop on personality Development through Dance in Aurangabad. 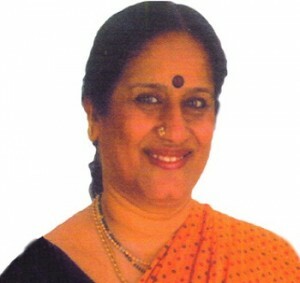 She has acted as examiner and judge in many competitions and examinations for dance in Maharashtra.